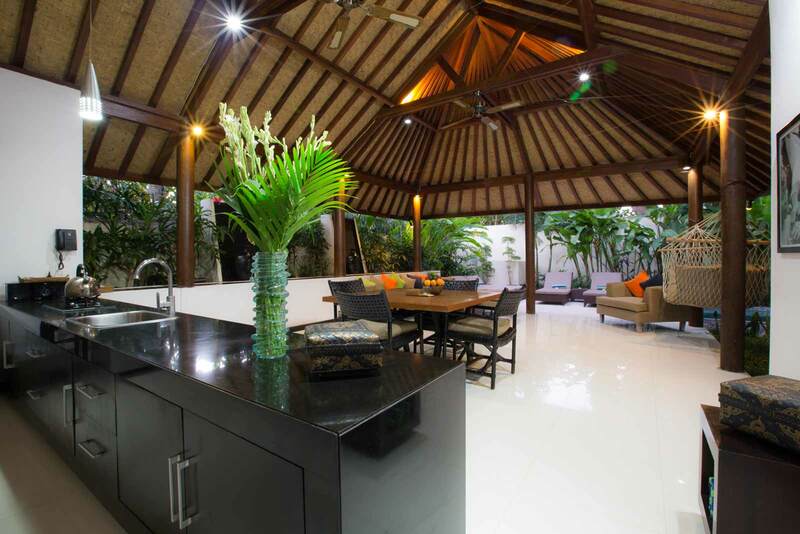 We have various types of 2 bedroom pool villas, open style and closed style. So please request when booking what you prefer and we cannot promise but will do our best to fill your request. 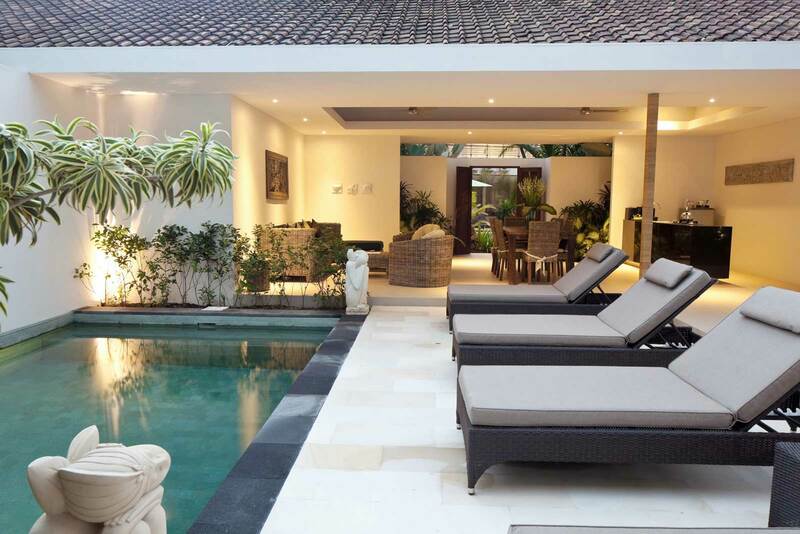 Our villas have a private garden and cool refreshing swimming pool…perfect for hot days. 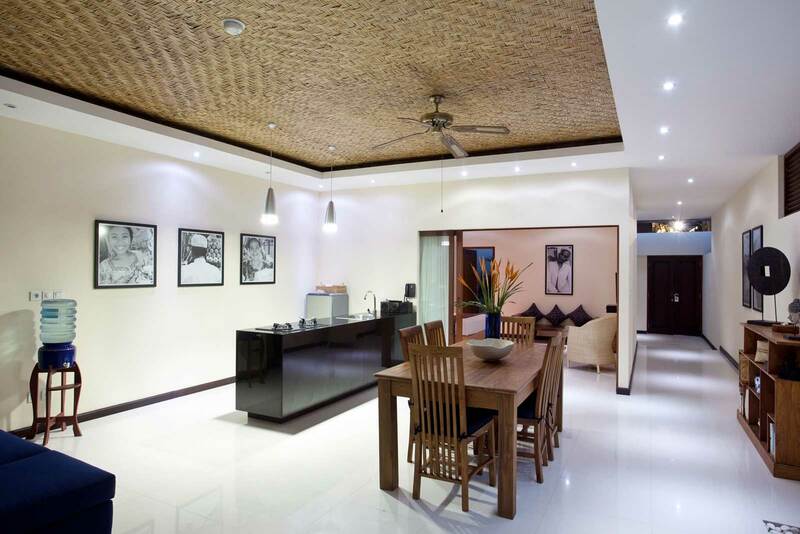 Air conditioned bedrooms, a fully equipped kitchen and adjoining dining and lounge room with a table to seat 6 to 8 people. 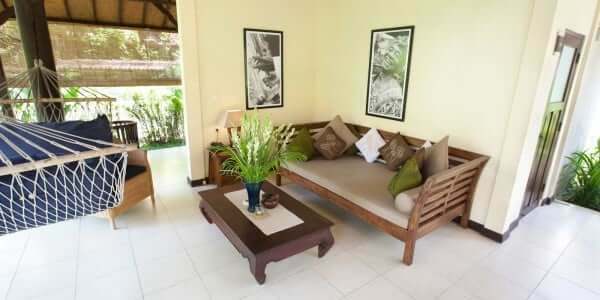 The villa has IDD phone, DVD player, cable television and free Wi-Fi. 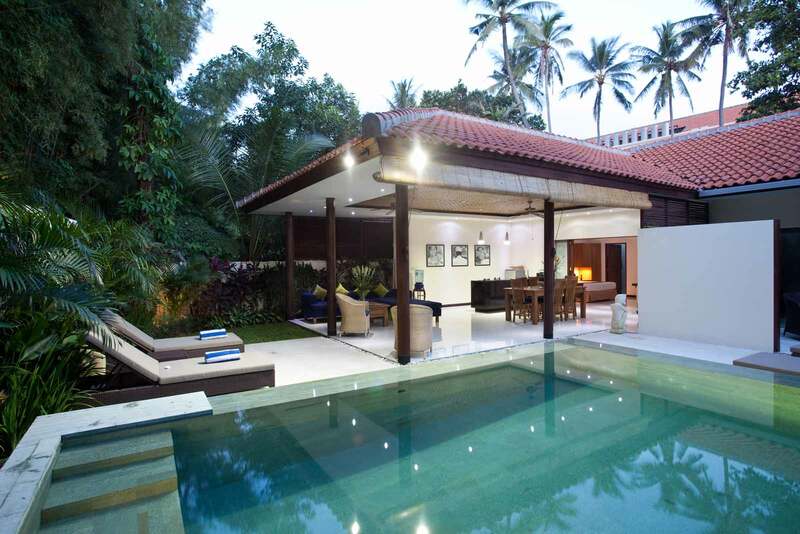 Breakfast can be served in your villa each morning and we can even arrange a poolside BBQ for you. A fantastic way to spend an evening. 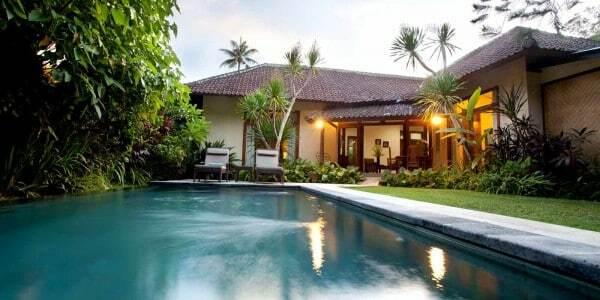 Total privacy and the feeling of home will make your stay here enjoyable and relaxing while you are in Bali.